Global manufacturers in the automotive, high-tech, food and beverage, consumer, industrial and life sciences industries for several decades. ITTI is one of the largest QAD (earlier: MFG/PRO) service providers with a strong track record of servicing QAD clients across the globe. ITTI specializes in providing Production Support Services from offshore and have been highly successful in handling customer engagements both on-site and offshore. We have a robust and scalable methodology to meet our client needs and associate with them as long term IT partners for their on-going business requirements. The QAD ERP offers Cost-effective software for small start-ups to a large enterprise with a vast operational functionality and low total cost of ownership. Both editions (Standard & Enterprise Editions) of this ERP are available to use with a .NET UI Interface which offers users a state-of-the-art user interface apart from the traditional character user interface. QAD Practice at ITTI is as old as the company itself and the fact that we are still serving our first customer goes a long way to demonstrate our customer engagement and service capabilities. Through these years, we have acquired significant expertise on various industry domains and verticals. QAD Applications were designed to support multiple currencies, languages (26 languages available), and local business and legislative conditions. Well-established companies equipped with their own sales and support centers in selected countries provide global support to users. In the sales, installation, training, implementation support, and long-term maintenance is provided by ITTI. ITTI offers its customers end-to-end consulting services on QAD’s Enterprise Solutions. Over the years, ITTI has acquired significant domain expertise in the Manufacturing & Distribution verticals and successfully demonstrated our implementation and support capabilities in the CPG, Food & Beverage, Retail, Automotive, Pharma & Electronics Industry verticals. We currently have consultants and expertise on MFGPRO eB2, eB2.1, QAD SE and QAD EE suites of the ERP. 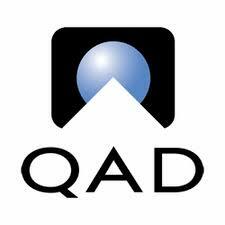 Our two-decade-old QAD Practice has acquired a wide portfolio of Customers around the world and many of them are marquee names in Industry. QAD’s Enterprise Applications offers comprehensive Supply Chain-enabled Enterprise solution that includes Manufacturing, Sales Distribution and Financial Modules, within an open systems environment from QAD Inc.
ITTI leverages several man-years of experience in consulting and delivering solutions on the QAD enterprise suites to its Global Customers. Today, ITTI works with varied QAD installations that powers some of the most sophisticated and complex manufacturing operations in the world. ITTI also has a comprehensive internal training structure and plan that gives strength to its consultants in building their career and in delivering the technical and functional support that the QAD install bases require. ITTI has been working with Progress – its 4GL and the database – for as long as we have been servicing the QAD ERP. We have expertise in every version of Progress right from 6.x. We have provided extensive services in the areas of implementation, functional consultancy, training, customization, development of add-on modules and support services to Progress users across the globe. ITTI has developed specialist skills and experience through its work with leading organizations in the manufacturing industry around the world. Our customers include: Unilever, Fosters, Visteon, Ford, Delphi, PT Pangung and Johnson Control International. Our experience encompasses discrete manufacturing, process manufacturing and high-tech businesses and our proven skills will help you address the business issues you face. As an organization, our focus is not on lengthy analysis and research. We deliver practical advice based on years of experience, concentrate on your business requirements and achieve results quickly.